Inside Out: A Creative Adventure of Self-Discovery e-course offers you an opportunity to become a BOLD explorer of your life, encourages you to celebrate your unique brilliance, and invites you to embrace your authenticity through art journaling, yoga, guided meditation and community. Because it’s an e-course, you get to participate in the comfort of your own home, at your own pace, yet you’ll also receive the unique experience of connecting with other like-minded explorers as you share your journey together. It’s in the connecting and sharing that we tend to grow the most! The e-course runs for 4-weeks: January 17th – February 11th, 2011. The supplies are simple: a journal, pencils and pens, crayons, markers and basic paints. 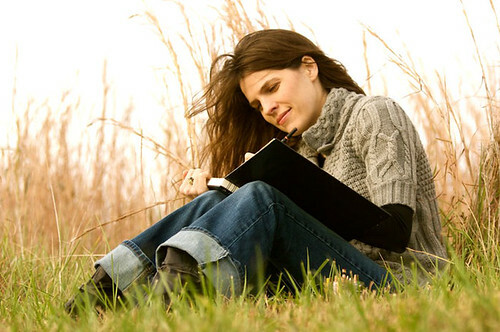 You will receive daily writing exercises, creative play activities, weekly yoga postures, audio guided meditations, and personal coaching along the way. You will have the option to join the Inside Out community where you can chat and share daily, as well as participate in three LIVE journal jam sessions throughout the 4-weeks (and beyond). You will be encouraged to get messy, to play like a child, to let go of perfect, to embrace YOU as an artist (we all are one! ), and you will be reminded that there is NO RIGHT WAY to explore, to discover, to go deeper, and to create. I have explored my artist-within throughout my life. I’m a certified Hatha yoga teacher and a holistic life coach. This class is near and dear to my heart and I hope you will consider joining us for the winter session – so you can continue creating the life YOU love. 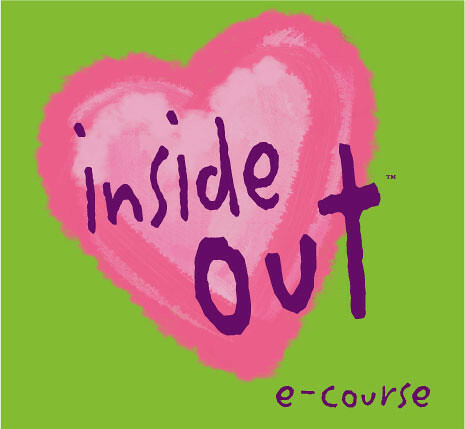 Visit Inside Out: A Creative Adventure of Self-Discovery to learn more. Registration will open December 1st, 2011 and this 4-week e-course is $79 (only $20 a week)! Gift certificates will be available – great holiday gift idea for you or someone special in your life. I’ll be taking a break from posting on my blog until my little boy decides he’s ready to enter the world. Thanks to each of you for your warm wishes, love and support. 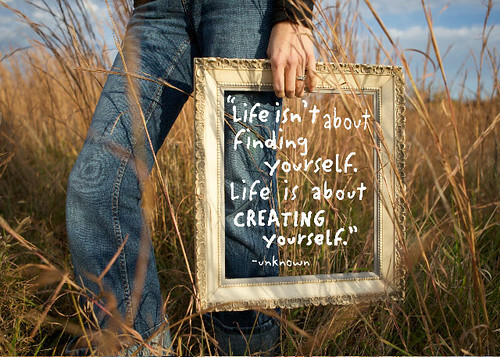 Everyone is Born Creative – Everyone! Also, check out my Rhythm of the Home project on Capturing Your Mothering Memories Through Art Journaling. Your Personal Reflection: Continue taking small steps each day to live more fully, boldly and freely!